A-HOTEL.com - Luxury and cheap accommodation in Ukrainskiy, Russia. Prices and hotel, apartment booking in Ukrainskiy and surrounding. Smirnovih Guest House offers accommodation in Cheerful Zhizn Khutor. Free WiFi is offered and free private parking is available on site. Rosa Mira v Pavlovskoy is located in Pavlovskaya and features a garden. Free WiFi is available. Hotel Parkovy is set in Pavlovskaya. Free WiFi is available. Motel Semejnyj in Pavlovskaya provides accommodation with barbecue facilities and a terrace. All rooms feature a TV with satellite channels and a private bathroom. Guest House on 2-Ya Zarechnaya 3 features accommodation in Kislyakovskaya. All rooms boast a flat-screen TV with cable channels and a private bathroom. Kazachiy Khutorok Baza Otdykha offers pet-friendly accommodation in Kazachiy. Private parking is available on site. Offering free WiFi, Гостевой дом Роза is located in Leningradskaya. The property provides a 24-hour front desk. Situated in Leningradskaya, Kaskad offers a garden and terrace. All rooms feature a flat-screen TV with satellite channels and a private bathroom. Providing free WiFi, Mini Hotel Yuyt is located in Leningradskaya. The property features a 24-hour front desk. 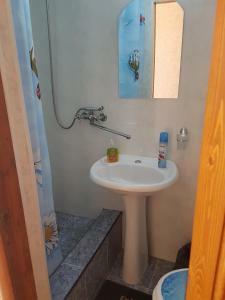 Offering free WiFi and river views, Апартаменты по ул. Набережная д.
Inn Staraya Melnica provides rooms in Leningradskaya. Free WiFi is available.